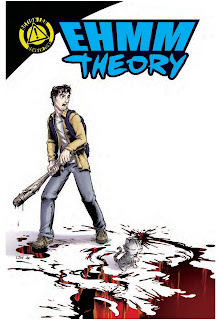 The Fellowship was fortunate enough to obtain a copy of EHMM THEORY #1 from Action Lab Comics. Brockton McKinney writes and Larkin Ford draws. Gabriel is dead, but it doesn’t seem to be slowing him down. If anything, he’s now got some excitement in his, ahem, life. Oh, and a talking cat. Anyway, he’s been killed and St. Peter is now sending him back to Earth to complete some tasks. His first task is to find his father, but there’s the small matter of some midget clown zombies first. Though it doesn’t sound much like comedy material, there’s a pretty strong vein of funny running through this book. I suspect it will have its serious moments before it’s over, but there’s also enough comedy to keep it fun and interesting. Gabriel looks like he’ll be a reluctant hero, and I find myself pulling for him already. And quest stories have a time-honored place in storytelling. I like the dark undertones and the sense of humor in this book. There’s some interesting supernatural potential, too, so make sure you pre-order this one. 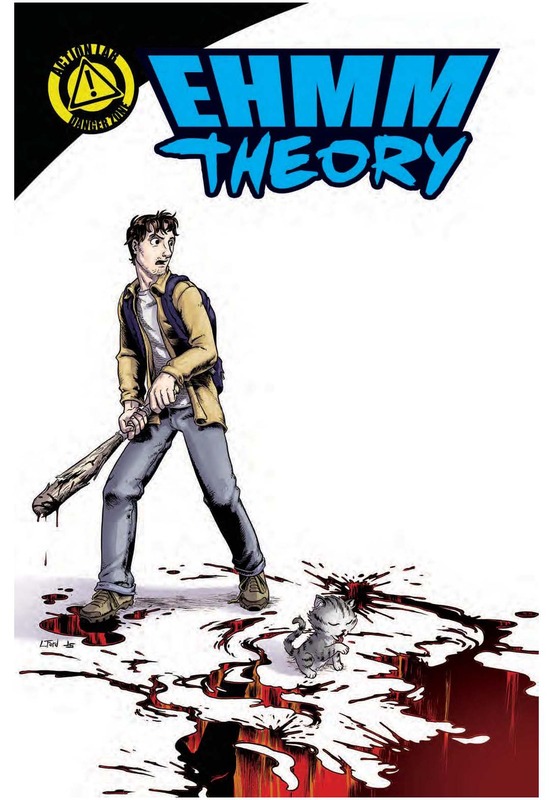 EHMM THEORY #1 will be available in May, so please order it now at your FLCS. More info at actionlabcomics.com.